As computers and the systems that support them have developed, so has information technology law. IT or cyber law as it is often called touches on a number of different areas. If you need legal help regarding any aspect of information technology law or computer law, please complete your free legal enquiry form on the left, or click here. Using computers adn the internet will also mean you have to comply with a wide range of other laws as well. Which laws apply to you will be determined by how you are using computer technology at home, at work or in your business. 1. Are you in a dispute over a domain name? 2. Do you supply IT systems, services and software? 3. Are you setting up a website? 4. Are you a website designer? 5. Are you buying IT systems, services, software or having a website designed? If you answered "yes" to any of the above questions and would like legal help regarding any aspect of information technology law, then please complete your free legal enquiry form on the left, or click here. Few people properly understand the roles and areas of expertise of an IT lawyer or an Internet lawyer. In the 1980s it was mostly a question of fairly straightforward IT contract law. Those days are well past. IT contract law and internet copyright law still underpin most of the work of the typical IT lawyer but things have now become far more complex. On any day, IT Lawyers may be asked to advise on topics as diverse as a software as a service contract, Data Protection law, email law, a managed services agreement, a service level agreement and web design contracts. Copyright is the right of the owner of materials to dictate how they are used. The copyright owner is usually the person who has authored the software or his/her employer. The job of the IT lawyer is to draft contracts which enable the owner to keep control of its rights whilst monetising them. In the old days, a software licence and software support contract were usually all that was required. With the advent of the internet, many an IT lawyer has recast himself/herself as an Internet lawyer who also has to understand internet copyright law, data protection, the distance selling regulations and email law. It is indeed still possible to protect your client’s interests but now far more complex. IT law follows where the technology goes. Thus, IT contract law largely reflects the mode of delivery of IT Services. 20 years ago the most commonly required agreements were software licences and software maintenance agreements. In the following 10 years, IT provision and, consequently, IT law evolved considerably and perhaps the most frequently requested document became the managed services agreement, usually with an associated service level agreement. With the advent of the internet, websites became a must for most companies and, logically, web design agreements were in great demand. Whilst the advent of web 2.0 has elicited demand for more sophisticated web design agreements, time has moved on again and, nowadays the typical produce of an internet lawyer will be a software as a service (SAAS) agreement or online managed services agreement in either case with an associated service level agreement. If you need legal help regarding any aspect of information technology law or internet law, please complete your free legal enquiry form on the left, or click here. Also known as an SAAS Agreement or a Software as a Service Contract, these have grown out of the ASP agreement model and reflect the fact that many software providers are now providing access to their software online on a subscription-based model. The typical software as a service contract will be associated with a service level agreement (“SLA”) and contain provisions detailing the initial duration, the monthly fee, the guaranteed service level, access guidelines, reasons absolving the service provider if inability to comply with the service level agreement results from reasons beyond its control. The term is often used interchangeably with Web Development Agreement and covers the creative developmental stage between the specification of a website and it going live. An experienced IT Lawyer will make sure that it drafts Web Design Contracts which contain provisions addressing issues such as Change Control (where the specification alters mid-project), Intellectual Property (who will own the copyright in the website once development has been completed and payment made), compliance with relevant legislation e.g. the Disability Discrimination Act, responsibility for content provision by the client as well as more standard issues such as the Limitation of Liability of the provider and an intellectual property right indemnity protecting the customer in the scenario in which the website designer has used third party code in the development of the website without permission of the owner of such code. We have developed a set of template web design & web development contracts. Lawyers practising in the area of Information Technology Law generally provide a range of free and premium products and services to help you comply with the law and manage the legal risks associated with running a website. IT Lawyers regularly draft and negotiate many kinds of legal documents. So whether you need a general commercial agreement (such as a consultant contract, a distribution agreement, an intellectual property agreement, a non disclosure agreement, a novation agreement, or a sponsorship agreement) or a software-related agreement or a website legal notice (such as an acceptable use policy, terms and conditions or a returns policy) or another kind of web-related contract (such as an affiliate agreement, a domain name agreement, an email marketing agreement, a hosting agreement, an SEO agreement, or a web development contract) IT Lawyers will be able to help. If you need legal advice regarding Information Technology Law, then please complete your free legal enquiry form on the left, and we will put you in touch with a Information Technology Law lawyer nearest you, who can help you with Information Technology Law. 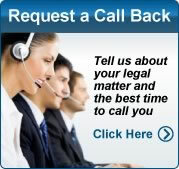 Our free legal enquiry service for Information Technology Law extends to all suburbs and locations AUstralia wide. These news come from CNET News. These news come from Reuters: Technology News. University of New South Wales Faculty of Law .. (LAWS3040) as part of the LLM (Media, Communications and Information Technology Law). Apply online for Bachelor of Information Technology/Bachelor of Laws Add Bachelor of Information Technology/Bachelor of Laws to my interest list. Overview .. Bachelor of Information Technology and Bachelor of Laws - Course ..
Current students should refer to their faculty handbooks for course information. The Bachelor of Information Technology and Bachelor of Laws will produce .. Prepares you to practise law in complex environments that now require graduates with an information technology background. Complete 2 ..
Information Technology and the Law - LAWS13-421 - Bond .. While the subject is open to law and non-law students, it is not recommended as a general introductory course in information technology law - LAWS13-429 .. This course examines the laws governing information technology. The topics examined include intellectual property law - patents, copyright and confidential ..
Information Technology Law - LAW479 - 2012 Course Handbook ..
Information Technology Law - LAW479. Cyberspace presents the law with many challenges. This unit introduces the basic legal issues raised .. Bachelor of Information Technology with the degree of Bachelor of ..
Information Technology is increasingly important in a legal context. The use of information technologies in business and government raises .. The course looks at the intersection of Information Technology with law. Five broad subject areas have been identified within which this intersection is explored: .. The ease and manner in which information can now be transmitted, accessed and transacted around the world instantaneously by the ..
UTS: C10245v1 Bachelor of Science in Information Technology .. The law component of this course provides a thorough grounding in Australian legal practice. The information technology component offers a sound education in ..
UNSW Handbook Course - Surveillance Security and Democracy ..
CSS Contribution Charge:Band 3 (more info) .. use of information technology) in both the public and private sectors, information .. Media and Technology Law .. Bachelor of Information Technology - Bachelor of Laws - 2012 .. Bachelor of Information Technology - Bachelor of Laws. Abbreviation: BIT-LLB. Home Faculty: Faculty of Law. Duration: 5 years full-time or .. Bachelor of Information Technology and Bachelor of Laws - Sydney .. Bachelor of Information Technology and Bachelor of Laws. These resolutions must be read in conjunction with applicable University By-laws, ..
Information and information technology use in undergraduate legal ..
by N Cuffe - - The aim of the research described in this paper was to examine the extent of students use of information and information technology in undergraduate legal ..
UTS: Information Technology - Monika Law Undergraduate ..
Communication, Business, Design, Architecture and Building, Education, Engineering, International Studies, Information Technology, Law, Nursing, Midwifery ..
.. Education · Engineering · Health and community · Information technology · Languages · Law and justice · Science and mathematics .. Bachelor of Information Technology with the degree of Bachelor of Laws. LAW00125 Information Technology and the Law - Southern Cross ..
Computer technology has become a pervasive technology in our society, extending into many facets of our everyday lives. As the regulatory system in our ..
25+ items – Faculty of Law, Business and Information Technology .. Minimum number of credit points from Information Technology designated unit, 42. Minimum number of LAW credit points, 72. Completion of a ..
(CRICOS CODE: 032885D); Information Technology/Law (CRICOS CODE: 068767B); International & Global Studies/Law (CRICOS CODE: .. He teaches in the undergraduate course, Information Technology Law, and the graduate courses, E-Business and the Law and Technology, Information and the .. Bachelor of Information Technology /Bachelor of Laws (BIT/LLB .. The Bachelor of Information Technology and Bachelor of Laws is a six-year combined degree. Course rules. To be awarded the Bachelor of .. The law component of this course provides a thorough grounding in Australian legal practice. The information technology component offers a .. Professor Stephen Colbran: Civil Procedure, Information Technology Law, Ethics, Family Law, Applied Social Science research methodologies, ..
Queensland University of Technology Brisbane Australia, Skip banner Skip to content, A university for the real world - Faculty of Law .. Course details for IX53 Bachelor of Information Technology/Bachelor of Laws: Professional Recognition, Course Structure etc. Auditorium Building 3E, Arts; Education; Engineering; Law & Science, 10:30am. Art, Design and Architecture; Business & Economics; Information Technology; ..
130+ items – Alphabetical By Organisation. Name & Email, Position, Phone .. BACHELOR OF LAWS / BACHELOR OF INFORMATION ..
- Bachelor of Laws/Bachelor of Information Technology. 2009 Dual Degree Program Structure. It is important that you read and understand the following .. Course details for IF38 Bachelor of Information Technology/Bachelor of Laws: Professional Recognition, Course Structure etc. LS377 Information Technology Law - UNE - Course and Unit .. Knowledge of Information Technology Law. Graduates will be able to show a command of a significant body of knowledge based on the .. Skip navigation. The Australian National University. Information Technology & Communications Unit. ANU College of Law. EXPLORE ANU - ..
How information technology can support family law and mediation ..
by E Bellucci - 2012 - - How information technology can support family law and ..
How information technology can support family law and ..
Information Technology Law - School of Information Technology and ..
BOOK REVIEW Ian J LLoyd, INFORMATION TECHNOLOGY LAW Second Edition, Butterworths, UK, 1997 This comprehensive book is easy to read and should ..
Internet and E-ommerce Law : Technology, Law and Policy | QUT ..
by BF Fitzgerald - 2007 - - This new text is essential for business and law students studying Internet and E-Commerce law, as well as information technology students and practitioners. Acceptable Use of Information Technology Facilities - UTS Policies .. The cost to the University of providing information technology facilities and in .. of inquiry and expression, privacy and confidentiality, the law and due process. QUT being, you know, a cutting edge university was one of the few universities that was offering the law, information technology combined ..
5 days ago – Why choose this course? Combining law and information technology puts you at the cutting edge of the growth area of legal issues arising from ..
Access to public sector information : law, technology and policy ..
by BF Fitzgerald - 2010 - - Fitzgerald, Brian F. (Ed.) (2010) Access to public sector information : law, technology and policy. Sydney University Press, Sydney. Professor - School of Law, Faculty of Economics Business and Law Professor Colbran's teaching interests include Information Technology Law, Legal Ethics, Trust Accounting and Professional Responsibility, ..
LAWS2241, Special Law Elective 5: LAWS2244, Litigation and Dispute Management. LAWS2245, Information Technology Law. LAWS2246, Special Law ..
Bachelors of Laws/Information Technology - Courses and Programs ..
Why study the Bachelors of Laws/Information Technology? This program gives students knowledge, theory and skills fundamental to legal practice, a broad ..
Criminal Justice Network. Academic Co-Director, Cyberspace Law and Policy Centre. China Information Technology Law Centre ..
Information Technology SMJ02038 Information Technology SMJ02059 Information Technology SMJ02069 Information Technology Law SMJ09045 Innovation ..
ENGINEERING. PhARmAcy AND. PhARmAcEuTIcAl. ScIENcES. BuSINESS AND. EcoNomIcS. lAw. ARTS. INfoRmATIoN. TEchNoloGy. ScIENcE. EDucATIoN .. Bachelor of Business Bachelor of Laws C10125 Bachelor of Business Bachelor of Science in Information Technology C10219 Bachelor of Construction Project ..
IX52 Bachelor of Behavioural Science (Psychology) / Bachelor of Laws · IX53 Bachelor of Information Technology/Bachelor of Laws .. Bachelor of Engineering and Bachelor of Laws - Sydney Law School .. The Deans of the Faculty of Engineering and Information Technologies and the Faculty of Law shall jointly exercise authority in any matter ..
UTS: Law offers a range of bachelor's degrees, from the stand-alone .. communication, engineering, information technology, international studies or science. You'll also look at areas of contemporary concern such as consumer law, environmental law, health law and information technology law. Minimum number of non-LAW credit points, 42. Completion of a Qualifying Major for the Bachelor of Information Technology. Completion of a ..
Information Technology Law (LS 377). image. Legislation. Broadcasting Services Act 1992 (Cth) Schedule 5 is in volume 2; Broadcasting ..
UTS: Undergraduate course information - International Studies, UTS .. Consider upgrading your browser if you are using an older technology. .. Architecture and Building; Engineering and Information Technology; Law; Nursing, ..
Information technology is critical to almost all modern organisations and processes. The development, acquisition and use of such technology ..
Dr Clare Sullivan is a Research Fellow at the Law School, University of Adelaide. Dr Sullivan .. Thesis on computer/information technology law ..
, tools and services for students, staff, visitors and professionals in the University of .. Consider upgrading your browser if you are using an older technology. .. Tackling the complexities of copyright law in the digital environment .. The Nature of the Nexus Between Recordkeeping and the Law ..
Monash University > Information Technology > Research > Groups .. The way we view the relationship of recordkeeping and the law will ..
Monika Law Undergraduate Scholarship - University of Technology ..
UTS: Diploma in Information Technology Professional Practice ..
UTS: Information Technology – Games Development, Programming, .. UTS: Law – Lawyer, Solicitor, Legal Policy, Advocacy, Legal Counsel, Legal Journalism ..
As-Saber, S., Srivastava A. & Hossain, K. (2006) "Information technology law and e-government: A developing country perspective," Journal of ..
UTS: Information Technology - browse all undergraduate courses ..
UTS: Information Technology – Games Development, Programming, Business .. Political Communication, International Management, IT, International Law, .. The information provided in this section is an introduction to the full range of .. UTS: Law University of Technology, Sydney PO Box 123. Broadway NSW 2007 ..
University of Technology, Sydney homepage .. at a UTS: Law postgraduate info session, or; through the Universities Admissions Centre(UAC) ..
Information Design MAJ10014 Information Technology MAJ02041 Information Technology MAJ02044 Information Technology Law MAJ09323 Information ..
Sarah researches in the fields of intellectual property and information technology law. She also practises as an intellectual property lawyer at Allens Arthur ..
UTS: Bachelor of Science in Information Technology Diploma in .. Bachelor of Science in Information Technology Bachelor of Arts in International Studies Bachelor of Science in Information Technology Bachelor of Laws ..
Assistant Professor of Law and Technology .. property in the digital age, information technology law, on electronic legal and other research. A facility to add and update entries is available via the Campus Directory, from which the above information has been extracted. The major in Software Technology can cover a wide range of areas, from business and management skills, to studies and experience in ..
Policy: computer hardware & software - Information Technology .. Understand the legal issues associated with the major platforms for the delivery of information technology; Understand the legal principles ..
UTS: Bachelor of Science in Information Technology (C10148v4 ..
, tools and services for students, staff, visitors of the University of .. Consider upgrading your browser if you are using an older technology. University ..
Ms - Faculty of Law, Law SchoolMaster of Information Technology (Research) (Queensland University of .. Animal law, Food law, Legal education, Legal information literacy, Legal research .. Combined Science Courses - Future Undergraduate Students - The .. Faculty of Engineering and Information Technologies .. Science & Law; Information Technology & Science; Information Technology & Medical .. Numerical list of majors - UTS: Handbook - University of Technology ..
MAJ09313 Commercial Law MAJ09320 Dispute Resolution MAJ09322 International Law MAJ09323 Information Technology Law MAJ09362 Business Law ..
Graham Greenleaf specialises in the relationships between information technology and law. He teaches and researches in the areas of cyberspace law, privacy, .. The Sydney LLB - Costs and Fees - Future students - The University ..
Engineering/Law. $7756. (Year 1-4). $9080. (Year 5-6). $8050. (Year 1-4). $9425. (Year 5-6). Information Technology/Law. $7756. (Year 1-4) .. Professor - Faculty of Law, Law SchoolHe is a well-known Intellectual Property and Information Technology/Internet lawyer who has pioneered the teaching of Internet/Cyber Law in Australia. He has ..
2012 LAW670 Information Technology Law. Unit Level: Advanced Available as a Student Elective: Yes View timetable of lectures only for this unit. View ALL ..
His research expertise includes Information Technology Law, The Law of Electronic Commerce, Letters of Credit and The Law of Corporate Meetings. Program .. Consider upgrading your browser if you are using an older technology. ... Further information regarding MCLE points is available from the Law Society of NSW: .. Teaching Law in Recordkeeping Courses - Faculty of Information .. The teaching of law in recordkeeping programs at Monash was ... Information Science and Technology (Archives and Records), as the core ..
Advertising, Business Law, Finance, Management and Marketing majors are .. Information Systems and Information Technology majors .. Faculty of Law, Business and Arts .. Our undergraduate programs embrace a wide range of subjects, including information technology, ..
by N Suzor - 2011Doctor of Philosophy (Queensland University of Technology), Master of Laws (Queensland University of Technology), Bachelor of Information Technology .. Program for Bachelor of Laws (Combined Law) - Course search .. Combined Law at Sydney allows you to study the Bachelor of Laws in .. Economics/Law; Engineering/Law; Information Technologies/Law; .. Bachelor of Business/Bachelor of Information Technology - Local .. Bachelor of Business/Bachelor of Information Technology course at La .. international business, business law, human resource management, ..
Gavin Artz, Chief Executive Officer at the Australian Network for Art and Technology • Neale Hooper, Crown Lawyer and Director of the Government Information .. He was appointed Professor of Law and Information Technology in 2003. In conjunction with his research colleagues, Professor Graham ..
Introduce students to, and examine the legal principles relevant to, the modern workplace which has been affected by changes in information technology and ..
LAW652 - Media Law LAW619 - Biotechnology Law LAW664 - Intellectual Property LAW670 - Information Technology Law. Authorised by the Dean, Faculty of .. The research activities of the Law Faculty and the progress of research degree .. Information Technology Law: Dr Brendan Gogarty; Intellectual Property Law: ..
Business, Communication, Design, Architecture and Building, Education, Engineering, International Studies, Information Technology, Law, Nursing, Midwifery ..
SMJ02015 Strategic Information Technology SMJ02036 .. SMJ02037 Information Technology SMJ02038 .. SMJ09045 Information Technology Law SMJ09046 ..
Our staff | School of Information and Technology | Murdoch ..
40+ items – The School of Information Technology consists of a .. Responsible Officer: Director, Information Technology Division .. Confidentiality of information is imposed by common law, formal statute, explicit agreement, ..
Business, Design, Architecture and Building, Communication, Education, Engineering, International Studies, Information Technology, Law, Science, Nursing, .. Contact Information - linking you to the Monash metropolitan .. Contact Information - linking you to the Monash metropolitan community .. Economics, Education, Engineering, Information Technology, Law, .. The Editorial Board for the Journal of Science & Technology Law (the Journal) .. undertaken in the field of communication and information technologies in the .. Consider upgrading your browser if you are using an older technology. .. Further information on credit recognition for undergraduate students in UTS: Business is .. Bachelor of Business Bachelor of Laws (C10125); Bachelor of Biotechnology .. Consider upgrading your browser if you are using an older technology. .. applying for credit recognition can be found in undergraduate course information. 15+ items – Information Sessions 2012. Many employers visit the campus to ..
UTS: Graduate Certificate in Communications Law - postgraduate ..
University of Technology, Sydney homepage. University of Technology .. Law Postgraduate Info Session (Lunchtime). Wednesday 20 Jun ..
E Law: COMPUTER TECHNOLOGY AND LEGAL DISCOURSE ..
by D Halbert - - These elites own the new information technology making new forms of knowledge transmission possible. Copyrights and intellectual property laws still serve to ..
You'll also look at areas of contemporary concern such as consumer law, environmental law, health law and information technology law. You'll learn the role of .. The communications law specialisation was developed to provide students with an advanced .. Information Technology Contracting Law* ..
Access to public sector information : law, technology and policy. 2 Volume Set Editor: Brian Fitzgerald Sydney University Press ISBN: 9781920899547 ..
advertising, banking, business information systems, business information technology, business law,economics, entrepreneurship, finaince, financial planning, ..
120+ items – Jump to Navigation. UNSW homepage. Home › Research .. Intellectual Property Technology and .. The Sydney LLB - Costs and Fees - Current students - The ..
Information Technology/Law. $7756. (Year 1-4). $9080. (Year 5-6). $8050. (Year 1-4). $9425. (Year 5-6). International & Global Studies/Law ..
15+ items – Year 2000 Information Disclosure Act 1999 (Cth): An Act to ..
Arts degrees can be taken with degrees from law, business, science, social work, information technology, visual arts, music, education or ..
What are the legal implications? Should genetically modified food be subject to intellectual property law? Information Technology: What are the legal issues that ..
UTS: Information Technology – Games Development, Programming, Business Analysis, Web development, Animation, Software Development, IT consultancy ..
Getting into UTS - UTS: undergraduate - University of Technology ..
UTS: Information Technology – Games Development, Programming, Business .. UTS: Law – Lawyer, Solicitor, Legal Policy, Advocacy, Legal ..
Research Interests. Environment law, Business law, Industrial relations, Corporations law, Islamic banking and Information technology law.. Regulating Net Transactions: The Legal Implications for .. The 'Internet' or the 'Net' is technology most of us are familiar with; the world of ... This is recognised in Freedom of Information laws when the .. In 2006 Joe was appointed (full) Professor of Law and between 2007 and 2011 was Director of the Centre for Law, Information & Converging Technologies at ..
an engineering or information technology degree with project management, commerce, science, arts, medical science or law. The wealth of options mean that ..
b Science in iT, b law. S. 15. faciliTieS. 16 .. WHY INFORMATION TECHNOLOGY. AT UTS? 3 .. bachelor of information Technology ing Direct. I studied ..
Pathfinder: Digital Technology: Legal Effects and Implications on ..
by V Hanks - information. The University of NSW Law Journal is available at: http://www.austlii.edu.au > Journals. Issues Paper 23: 'Technology – what it means for federal .. Consider upgrading your browser if you are using an older technology. University .. property, media and entertainment law, telecommunications law, technology law and corporate law. .. Further information for future students is available from: ..
Jump to ý: Greenleaf G, Mowbray A and Lewis D (1988) Australasian Computerised Legal Information Handbook, ..
10:30am, Arts; Education; Engineering; Law; Science. 2:30pm, Art & Design; Business & Economics; Information Technology; Medicine, .. Languages & International Studies, Information Technology, Law, Property & Sustainable Development .. Master of Business Law, Postgraduate, Checkmark ..
Strategies for Business is a IT postgraduate unit offered by .. 11, Information Technology strategic legal considerations: a) private law .. Faculty of Law. Recommended First Semester Programs. Bachelor of Laws. • CORE11-110 Information Technology 1 OR CORE11-111 Business Applications of .. Thanks for visiting my web pages. My work concerns inter-relationships between information technology and law: legal information systems and cyberspace law. Jump to ý: For further information please visit the School of Law web site. back to top. Law quick links. Brochures. Undergraduate Law ..
C10245, Bachelor of Science in Information Technology Bachelor of Laws. C10258, Bachelor of Arts in Communication (Journalism) Bachelor of Laws ..
Macquarie Law will give you knowledge of legal principles and the critical and analytic .. law, environmental law, health law and information technology law. Murdoch IT & Privacy Law Moot Team: (L-R) Brynn Horner, Malcolm Jezewski and Ryan .. Moot Court Competition in Information Technology & Privacy Law. LAW602, Foundations of Media and Information Technology Law (Not Offered 2012). LAW603, Labour Law (Not Offered 2012). LAW604, Competition Law, H .. Obligations by Responsible Officer - Governance and Legal ..
Jump to ý: Deputy Vice-Chancellor (Technology, Information and Learning Support). Information ..
10+ items – Spring Next years classes. Summer. Course Code, Class No .. Psychology will help you understand how people think, act and feel. .. such as consumer law, environmental law, health law and information technology law. for International Students regarding admission requirements, English language .. Bachelor of Contemporary Music, Bachelor of Laws, • ..
LAW429: Information Technology Law. Cyberspace presents the law with many challenges. This unit introduces the basic legal issues raised ..
Recordkeeping, Legal and Ethical Principles and Requirements for ..
School of Law Deakin University, School of Information Management and. Systems Faculty of Information Technology and Faculty of Law Monash. University ..
Laws (LLB) – engineering/Law. 14 Bachelor of information technology (Bit)/. Bachelor of Laws (LLB) – information technology/Law. 15 Bachelor of international ..
UTS: Bachelor of Arts in Communication (Information and Media ..
Students learn to solve problems encountered in areas where the law intersects with information and communication technologies within society, and engage ..
Business law (BBusCom) - Undergraduate Area of Study - Faculty of ..
All areas of study information should be read in conjunction with the .. Business taxation and GST; BTG3641 Information technology law..
International Journal of Law and Information Technology (IJLIT) [Entry Reviewed: 2011-08-02]: | Subscription required | Not DEST Approved | On Scopus .. Associate Degree of Information Technology..........................................34. Associate Degree in Law (Paralegal Studies) . Associate Degree of Information Technology..........................................62. Associate Degree in Law (Paralegal Studies) . Business, Commerce & Information Technology | Fields of Study ..
· Property & Sustainable Development · Psychology, Counselling & Behaviour .. Bond's School of Information Technology gives you the opportunity to ..
UTS: C11217v1 Graduate Certificate in Communications Law - Law .. Consider upgrading your browser if you are using an older technology. .. This subject explores laws that regulate and impact upon 'new families'; those formed .. Note: The requisite information presented in this subject description covers only .. BIOGRAPHIES - The Sydney eScholarship Repository - University of ..
by B Fitzgerald - 2010James Boyle is William Neal Reynolds Professor of Law and co-founder of the .. of Communications, Information Technology and the Arts (DCITA), where she ..
UTS: 32563 IT Professional and Society - Information Technology ..
UTS: Information Technology: Systems, Management and Leadership .. students to standards of professional behaviour and legal responsibility through case ..
Legal Information Technology Issues in Asia and Oceania: An ..
by A MowbrayLegal Information Technology Issues in Asia and Oceania: An Introduction to Volume Four of the UTS Law Review -  UTSLRev 1; (2002) 4 UTS Law ..
UTS: Information Technology - Vice Chancellor's Indigenous ..
Our students have access to leading-edge information and instructional technologies in modern teaching rooms and law computer laboratories. from the Faculty of Engineering and Information Technologies, the Dean, or a nominee of the Dean;. 1.8. from the Faculty of Law: 1.8.1. the Dean, or a nominee ..
Law - browse all undergraduate courses - University of Technology .. Learn the role of law in society and develop a sense of social responsibility. .. as consumer law, environmental law, health law and information technology law. Consider upgrading your browser if you are using an older technology. .. This subject explores the multiple legal dimensions regulating families formed with .. Note: The requisite information presented in this subject description covers only ..
"Passing the Buck: Who Will Bear the Financial Transaction Losses from Consumer Device Insecurity?" Journal of Law, Information Technology and Science, ..
12 Bachelor of Engineering (BE)/Bachelor of Laws (LLB) – Engineering/Law. 14 Bachelor of Information Technology (BIT)/. Bachelor of Laws (LLB) – Information .. This subject introduces students to the legal context of telecommunications and information technology in Australia and internationally, and develops students' .. Vacation work programs 2011 - Careers Centre - The University of ..
(All combined) Science/Commerce. Deutsche Bank. Summer Internship Program. www.db.com/careers. Economics and Business ..
by D Crisp - 2007 Areas of study offered at the campus include arts, business, education, environment, health sciences, information technology, law, ..
E Law: The Electronic Classroom - A Personal Account of Learning ..
by M WheaterInformation Technology in Legal Practice. There exists a widespread belief that law firms, and lawyers generally, lag behind the rest of society in terms of ..
UTS: BUiLD Travel Grants - law at UTS - University of Technology .. Bachelor of Computing and Bachelor of Laws(63G - UTAS Course .. Bachelor of Information Systems and Bachelor of Laws (63F) .. by the Faculty of Science, Engineering and Technology and the Faculty of Law and is available ..
ACCESS TO PUBLIC SECTOR INFORMATION: LAW ..
by BF Fitzgerald - 2010 - - ISBN 978-1-920899-54-7 Set. National Library of Australia Cataloguing-in-Publication entry. Title: Access to public sector information : law, technology and .. The Information Technology facilities of Monash University are provided to students .. Unlawful use of IT Facilities may also lead to criminal or civil legal action ..
1983 - 1993: Legal Officer, Senior Legal Office & Principal Solicitor, Australian .. Anne Wallace, 'The Challenge of Information Technology in ..
Students also may choose additional studies in other areas of science as well as in areas of business, information technology or law. Career opportunities: ..
Sanctions will be enforced if you act irresponsibly and disregard your obligations to other users, or to the University as the provider of Information Technology ..
Matthew's scholarly interests include intellectual property, media and information technology law, biotechnology law, access to essential .. IDEA: The Journal of Law and Technology welcomes intellectual property related ... See Information Technology and the Law: an international bibliography .. I advise on legal issues, and negotiate and draft agreements, relating to information technology. It's a really broad range of work, from drafting ..
International Studies, Business, Communication, Design, Architecture and Building, Education, Engineering, Information Technology, Law, Nursing, Midwifery ..
Bing, Jon --- "Perspectives for the Development of Computers and ..
by J BingAnd to these specialised colleagues, it may be difficult to explain why there is a tradition for combining the two aspects of legal information technology and the ..
UTS: Careers Events and Workshops - Careers, University of ..
Business:Economics, H.R. Management, Information Technology, International .. Technology, Information Technology (Scholarship Course) Law:Engineering ..
Business, Communication, Design, Architecture and Building, Engineering, Education, International Studies, Information Technology, Law, ..
UNSW Handbook Course - Electronic Commerce Law & Practice ..
•Akindemowo, O, Information Technology Law in Australia (LBC, 2001 (2nd ed)) •Fitzgerald, A et al, CyberLaw (Butterworths, 2002) •Fitzgerald, A et al (eds), ..
10+ items – ANU College of Law. Home Index. Home · Dean's Welcome ..
by C Antons - 2008 - - information and electronic transactions and on a draft law covering criminal acts in the field of information technology. The draft law on criminal acts33 in the field .. Scholarships available for continuing Faculty of Business and Law .. Scholarships available for continuing Faculty of Business and Law students. .. Heritage Bank Len Ludgate Scholarship in Information Technology - $4000 .. Bachelor of Information Technology, Undergraduate, Checkmark. Close Law. Close Corporate & Commercial Law. Bachelor of Business Law, Undergraduate ..
URL: http://www. aph. gov. au/senate/committee/fapa_ctte/btr/index ..
by A GreenshieldsURL: http://www.bitlaw.com/index.html Alan Gahtan's Cyberlaw Encyclopedia is a legal portal for information technology, Internet protocol, and electronic ..
UTS: Information Technology - Bruce and Carol Kendall ..
Bryan R. Dale, Barrister Solicitor Toronto area law firm practicing in the areas of business law, computer and information technology law and real estate. Graduate Recruitment Programs - Careers Centre - The University of .. Eligibility: Australian citizens. Economics and Business (Accounting; Commerce; Economics; Finance; Marketing). Information Technology. Law inc Criminology .. Bachelor of Laws (Graduate Entry) - myfuture: Australia's career ..
A Macquarie University law degree equips students to enter the legal profession .. consumer law, environmental law, health law and information technology law. Resources (Parliament of Australia, Parliamentary Library) .. Department of Justice and Community Safety - Justice, law, emergencies, commercial ..
Resources. By country. Australian Law (Texts of legislation; Court decisions and major legal organisations) .. Law from other countries and regions .. The Law Handbook. Your Practical Guide to the Law in New South Wales. 11th edition. Internet Law. 32. Authors. James Arnott, Victoria University, Melbourne .. Describes Internet resources relating to Australian Law. Describes Internet resources relating to terrorism law. Describes Internet resources relating to Criminal Law. Describes Internet resources relating to Australian Intellectual Property Law. Describes Internet resources relating to Australian Family Law. Describes Internet resources relating to Civil and Human Rights law. Describes Internet resources relating to Business Law. Describes Internet resources relating to Environmental Law in Australia. Describes Internet resources relating to Australian Industrial Law. Describes Internet resources relating to military law. Describes Internet resources relating to Australian Transport Law. This guide contains links to Internet resources and documents in the area of federal tax law, as well as providing links to other guides and .. Describes Internet resources relating to Indigenous Law. In this case, the Court found that defamation laws in the Australian state of Victoria applied to material that was posted on the Internet by a server based in .. This makes it difficult to establish uniform laws to police the Internet. Australians can report illegal sites to the Australian Broadcasting Authority .. Describes Internet resources relating to Australian Welfare Law. Describes Internet resources relating to Administrative Law. .. Law enforcement and national security · Photos and surveillance .. You are here: Home > Privacy topics > Internet, communications and .. Describes Internet resources relating to United Kingdom Law. Describes Internet resources relating to New Zealand Law. Describes Internet resources relating to United States Law. Describes Internet resources relating to Australian Statute Law. The Australian Communications and Media Authority (ACMA) is responsible for monitoring internet content, enforcing Australia's anti-spam law and making rules .. It's important to realise that the Internet is international and largely unregulated. This means that the laws of any one country don't usually apply .. Describes Internet resources relating to the Australian legal profession and the courts. This guide contains links to Internet resources and documents relating to Australian electoral law, as well as providing links to other guides and directories which ..
Two good starting points for finding commentary on this topic are: Internet law bulletin. (Available in the State Library); Privacy law bulletin. that placing content on the Internet may entail legal responsibilities under applicable State, Territory or Commonwealth law;; about their right to make complaints ..
Unauthorised Photographs on the Internet And Ancillary Privacy ..
unauthorised publication of photographs on the Internet;. • Discuss the adequacy of existing State and Territory laws in their application to these issues; and .. Describes Internet resources relating to Australian Nuclear Energy Law. A. The Child Exploitation Internet Unit along with other Law Enforcement Agencies and organisations dealing with the protection of children .. Images of children and young people online - Resource Sheet ..
Firstly, there are legal obligations for Internet users who post images of .. There are Commonwealth privacy laws relevant to the unauthorised ..
Resources. Bill of Rights. This guide contains links to Internet resources and documents relating to a Bill of Rights or Charter of Rights at the ..
Internet Searching Questions, Andrew Inglis Clark Law Library. Describes Internet resources relating to the law of countries and regions outside Australia. Online safety - NCPC Resource Sheet - National Child Protection .. This article for parents about Internet safety briefly outlines the following issues: Internet safety laws; online protection tools; how to get involved .. Describes Internet resources relating to Canadian Law. Chris is the founding editor of the Internet Law Bulletin, .. Internet – Law and legislation – Australia. .. of defamation law to some internet communications. Open Justice and the Internet - The Law via the Internet 2003 .. THE LAW VIA THE INTERNET 2003 CONFERENCE SYDNEY 28 NOVEMBER 2003. The accessibility of legal information on-line is the most .. The use of the Internet by governments and organisations has raised .. by staff, that law exists which protects their privacy in the workplace. Protecting Children From Online Sexual Predators Briefing Paper .. Describes Internet resources relating to European Law. @ your library is designed to provide assistance to non-legal people in finding legal information in the Northern Territory. Some publications are available in ..
the Internet, the place where the material is downloaded is the location of the publication. As a consequence, the defamation law of the place of downloading is ..
10+ items – See also: Responses; Investigative and policing issues; Internet ..
R v Internet Service Provider  PrivCmrA 17 · document icon pdf (22.59 .. Privacy: Technology, Law and the Marketplace. document icon ..
AustLII provides free internet access to Australasian legal materials. AustLII publishes public legal information: that is, primary legal materials (legislation, .. The Internet consists of more than 15 000 computer networks linked to .. enormous possibilities for crime and formidable challenges for law .. Welcome to the website of the Legislation, Policy and Criminal Law Review Division of the Department of Attorney General and Justice. Free Internet Access in Public Libraries. Law and Policy. Public libraries in NSW are subject to the Library Act 1939 and operate with reference to a number of .. The independent Panel for the Review of Food Labelling Law and Policy, commissioned by the Australia and New Zealand Food Regulation .. Given the interconnectivity of the internet and the jurisdictional complications that flow from different laws in relation to this type of offending, .. The Law Handbook: Your Practical Guide to the Law in New South .. The Law Handbook: Your Practical Guide to the Law in New South Wales 11th edition. the law .. (PDF 524kb). Chapter 32 - Internet law..
Guide for Users · Responsible Internet Businesses · Internet Law · "Safe Harbour" · ISP's guide · IIA 2010 Broadband Targets · Ecommerce Fact Sheets ..
Other By-Law Permits. Image of Florence Falls There are many activities that may be conducted within a National Park or Reserve with the provision of a permit. Q: What changes have been made to South Australian Weapons Laws? The law has been .. The law revised and strengthened old laws about having weapons. covered in chapter 32, Internet law. Regulation of the media. Legal requirements. Radio and television. Historically, governments have seen broadcasting ..
Shipwrecks and the Law. Two laws protect the remains of shipwrecks in waters off the coast of the Northern Territory. The Commonwealth Historic Shipwrecks ..
NT Legal Aid is an independent statutory Commission and provides access to the law and legal assistance to people who are unable to afford the services of a .. This guide contains links to Internet resources and documents in the area of federal criminal law, as well as providing links to other guides and directories which ..
Trove - Private international law and the Internet / Dan Jerker B .. Private international law and the Internet / Dan Jerker B. Svantesson .. He identifies eleven characteristics of Internet communications that are .. Things to know before you get a broadband internet service .. and changes to the law brought about by the Australian Consumer Law (ACL) ..
You will also find links to useful resources on Australia's Internet .. and the DDA (U.K.)", M.Sloan, Journal of Information Law and Technology ..
Also, there are chapters of the Law Handbook now available online which will give you an excellent overview of the law concerning the internet ..
Any law reform or proposed change should respect the universal right to Internet access recognised by the United Nations and the European ..
Information and communications technologies (the internet, .. Home - Publications - High tech crime brief - 1-20 - Online child grooming laws ..
What is the co-regulatory scheme for prohibited internet gambling? .. and futures contracts and agreements under the Corporations Law; and ..
Internet law bulletin 14(2) May 2011: 27-29; Are Internet offenders emotionally avoidant? / Gemma K Wall, Emma Pearce and James McGuire ..
Internet law bulletin 14(3) Jun 2011: 56-57. Summary: Disusses 'cyber-stalking' legislation relevant to the ADFA skype case and concludes that ..
Health · Credit and finance · Internet, communications and other technologies · Direct marketing · Identity security · Law enforcement and ..
Censorship in Australia: Regulating the Internet and other recent ..
background to the main issue arising from the Bill, namely the regulation of Internet content, by placing it in the broader context of censorship law administration .. Title: Internet law, Chapter 32 The law handbook, 11th edition. About: Covers e-commerce, defamation, copyright, EFT code, online shopping, .. The ACMA's Fact Sheet Internet Service Providers and Law Enforcement and National Security provides more information about the obligations ..
Psychiatry, psychology and law. 18 Nov 2011:6 p. Summary: Advocates the use of post-therapy brief online interventions to assist Internet ..
Labelling Logic. Review of Food Labelling. Law and Policy (2011). Panel Members: Neal Blewett AC (Chair). Nick Goddard. Simone Pettigrew. Chris Reynolds ..
by A Customs - 2004 When you buy goods over the internet, you should be aware that the .. Customs law does not permit a parcel to be split or broken down into .. Choose your weapon carefully - you might be breaking the law. Holders and dealers of firearms must be licensed. It is an offence to carry a .. The Law Handbook: Your Practical Guide to the Law in New South Wales .. law, Insurance, Internet law, Media law, and Veteran's entitlements. 1. CONTENTS. Introduction .................................... 2. Why Do We Have Drug Laws? ...................... 3. What Are The Laws? When you purchase goods on the internet from overseas or another state, NSW consumer protection laws may not apply and may only offer ..
Government position.8. 3. Internet regulation. At present, Australian ISPs are not required by law to install filtering/blocking software, nor block ..
General Internet Resources .. Academic Law Journals and Law Reviews (Law): FindLaw; ARL Directory of Electronic Journals and Newsletters, 6th Edition ..
WebLaw is a cooperative subject gateway to Internet resources for Australian legal researchers. Law librarians from the participating organisations have taken .. Either can appeal an AAT decision to the Courts, but only on a question of law. * Calls from your home phone to 1300 numbers from anywhere in Australia are ..
by RG Smith - 1997 - - who argue that the Internet should be free of intellectual property law restrictions with all information being accessible and unencum- bered. This, it is suggested, ..
World's Toughest Anti-Smoking Laws Released - Department of .. The world's toughest laws on tobacco promotion moved a step closer with the release on 7 April of the Australian Government's proposed .. This fact sheet aims to explain privacy laws around the use of images of .. Such images have also been traded on the Internet as a form of child pornography1. What we offer - Legal services - Commercial and Corporate Legal .. Seminars and law forums, Menu Plus .. information and communications technology; intellectual property, science and technology, Internet law, e-commerce, e- .. The internet can be a great way to do business—if used wisely, it can present you .. However, it is important to note that consumer protection laws are just as ..
reported as 'legal highs' over the past 12 months. It is important that if you intend to purchase a 'legal high' over the internet you are aware of the laws around .. The Council of Australian Governments (COAG) and the Australia and New Zealand Food Regulation Ministerial Council (Ministerial Council) ..
Internet Resource Guide: Internet Resource Guide: Mandatory .. Describes Internet resources relating to Mandatory sentencing. Dow Jones & Company Inc v Gutnick - a recent High Court case that decided that domestic defamation laws apply to Internet Content created and uploaded ..
Resources (Parliament of Australia, Parliamentary Library) .. Foolkit: a lawyer's toolkit - State specific legal portal containing full text information on .. Describes Internet resources relating to Australian Law. .. Law Internet Resources .. Model Laws published by the Standing Committee of Attorneys General .. The Attorney-General's Department serves the people of Australia by providing essential .. National Library of Australia guide to internet sites for Australian law. Jump to ý: Australian Lawyers Alliance (formerly the Australian Plaintiff Lawyers Association) .. Describes Internet resources relating to Australian Intellectual Property .. Attorney-General's Department Copyright Law and Classification ..
Services for lawyers using the Andrew Inglis Clark Law Library network. .. and Department of Justice staff can access the internet using PCs in .. Describes Internet resources relating to Civil and Human Rights law. .. A network of Australian lawyers interested in furthering awareness and advocacy of .. Describes Internet resources relating to Criminal Law. .. Offences ( Model Criminal Code Officers' Committee of the Standing Committee of Attorneys-General) .. Describes Internet resources relating to terrorism law. .. Attorney-General criticises Australian Capital Territory anti-terrorism legislation and requests that it be .. Standing Committee of Attorneys-General or any individual Attorney-. General. ... intersecting areas of the law, i.e. criminal laws; privacy laws; Internet .. Page 1. WA Society of Jewish Jurists and Lawyers Inc. Defamation on the Internet under Australian and Jewish Law -. The Loshon Hora Show ..
- ON THE RESTRICTION OF ADVERTISING PERSONAL INJURY LEGAL ... Consumers that search telephone directories and the internet for a lawyer have .. Describes Internet resources relating to Australian Industrial Law. .. Includes text of awards, agreements etc; Gadens Lawyers (Law firm) Select "Publications" to ..
Jump to ý: .. (WIPO) "Internet Treaties" is .. Senior Government Lawyer ..
Australian Government: Attorney-General's Department .. Information about the changes on the Family Law Courts website is set out below: .. Describes Internet resources relating to Administrative Law. .. Legal Briefing No. 85, updated August 2010 (Australian Government Solicitor). 2009. Guide to ..
AustLII LAW VIA THE INTERNET '99 CONFERENCE .. that the cases were hidden in books, bound in velum or buckram in lawyers' offices and a few libraries. Areas of Practice: Lawyers and Legal Consultants .. Areas of Practice: Banking & Finance, Company Law, Agency and Distribution, .. Internet: www.nn-law.com .. Describes Internet resources relating to military law. .. the Dept of Defence acted on advice from the Australian Government Solicitor that the Court was valid. The Law Society Northern Territory can provide names and contact details of lawyers, and can help if you have a problem with your lawyer. They have ..
 As the Internet is one means by which words, sounds, images and writing ... David Fraser, Senior Lecturer in Law, Sydney University, Making Cyber Hate a ..
Resources. List of Australian Attorneys-General, compiled by Patrick O'Neill. This guide lists Attorneys-General for each jurisdiction in Australia. consulting firm undertaking internet law, privacy and electronic commerce projects. He is also a lawyer and researcher, and is a Visiting Fellow at the University ..
Lawyers' Weekly. Interview with Justice Michael Kirby on the .. I did a lot of unpaid work at the Bar and as a solicitor. Keeping up with developments in the law is a big challenge. Fortunately, the Internet comes to the rescue. SSAT members are drawn from varied backgrounds and include lawyers, .. Either can appeal an AAT decision to the Courts, but only on a question of law. Without Prejudice Issue 51 - Legal Services Commissioner : Lawlink ..
"If you want to be a virtual lawyer, all you need to do is take a step outside. .. Keep the cell phone charged, maintain connectivity to the Internet, .. The Attorney-General's Department administers policy regarding family law through .. links to Internet resources and documents in the area of federal family law, ..
Australian Legal Information Institute (AUSTLII) - free internet access to most .. Environment and Planning Law Association (EPLA) - An ..
Resources .. This draft was given limited distribution by Attorney-General Gareth Evans and later released under the Freedom of Information Act. You can get legal assistance by hiring a lawyer directly or by seeking assistance .. self-help services, publications, the public access law library and the internet ..
32 Internet law 853. Contact points and internet resources for this chapter begin on page 866 ... should obtain advice from a lawyer. LHB11-32.fm Page 859 .. Contact points and internet resources for this chapter begin on page 33. Legal documents. This section explains some commonly used legal documents. The Internet today plays an increasingly important role in a legal .. Twitter feed is being staffed by a law firm in the UK, Loyalty Law Solicitors. Appoint a real estate agent · Appoint a solicitor · Before you sell · Sell .. of other traders who are breaking the law; about the safety of products. Attorney-General's Department Submission to the Joint Select ..
Commonwealth law. Under section 474.14 of the Criminal Code, it is an offence to use the Internet or a mobile phone in a way that a reasonable person would ..
Australian Law on the Internet is a useful site with links to sources of law: .. and stress. As an emerging form of legal practice, Australian lawyers are enthusiastic ..
Financial organisations offer internet services including advice and options available. .. The council can introduce future planning schemes or by laws .. If you do not currently have a solicitor you are best served by asking for ..
Legal practitioner (Solicitor on Record) user type . .. eUser ID to Log in. 1. Using Internet Explorer navigate to JusticeLink eServices website .. Cargo law Internet portal to international transportation .. A Legal Case Notes Website for Industry Professionals, Lawyers and other Advisers, ..
10+ items – The internet is increasingly being used to steal enough ..
Model Criminal Law Officers .. Describes Internet resources relating to Business Law. .. Commission · Australian Corporate Lawyers Association · Australian Insurance Law Association ..
Australian Government: Attorney-General's Department .. If you do not have internet access or are experiencing any difficulties, please contact our .. and program areas including civil justice, family law and legal assistance, criminal justice, ..
At a meeting of the Standing Committee of Attorneys-General .. the Internet; discuss the adequacy of existing State and Territory laws in their .. Describes Internet resources relating to Australian Transport Law. .. the home page of Countryman & McDaniel, US Customs Broker Attorneys. Attorney-General's Department. 3-5 National ... avoid their obligations by getting the consumer to agree that the law ... that includes a modem and internet ..
Because of the Internet, clients of the future will be much more readily able to find, with or without the lawyers, the basic principles of statutory and common law ..
- National anti-discrimination law internet gateway launched. The standing Committee of Attorneys General has launched an internet-based national ..
Jump to ý: I can't afford a lawyer, can the Ombudsman help me? The Ombudsman cannot .. Enduring Powers of Attorney to nominate substitute attorneys;. • the establishment of the .. Internet: www.publicadvocate.wa.gov.au. Disclaimer. The materials ..
State Law Publisher .. An enduring power of attorney is a legal document which allows you. (the donor) to appoint ... Internet: www.publicadvocate.wa.gov.au ..
26 Family law 689. Contact points and internet resources for this chapter begin on page 705 ... lawyer (Family Law Act s.68L) called an inde- pendent children's ..
Of 'Sham' and Other Lessons for Australian Revenue Law, Melbourne University .. Four Parables and a Reflection on Regulating the Net (Edited Transcript), .. The Law Handbook: Your Practical Guide to the Law in New South Wales 11th edition .. declarations, affidavits, justices of the peace, notice to attend court, passports, and powers of attorney. .. Chapter 32 - Internet law..